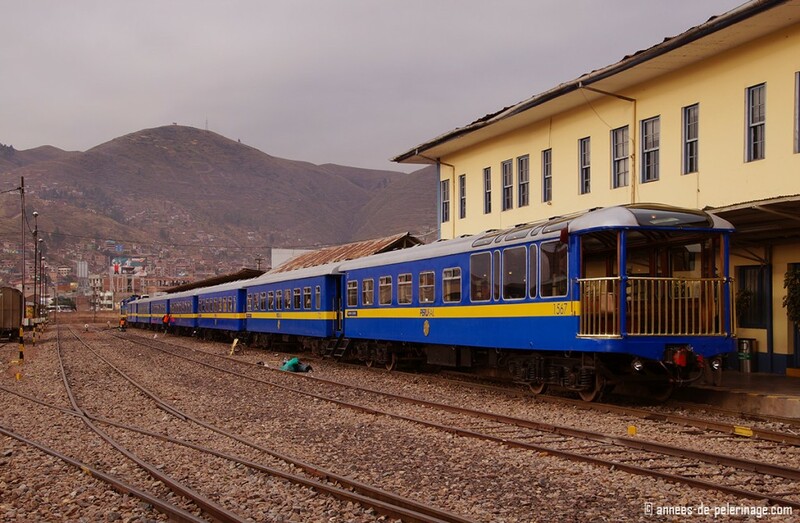 From Cusco to Lake Titicaca – my review of the Andean Explorer Luxury train by PeruRail. 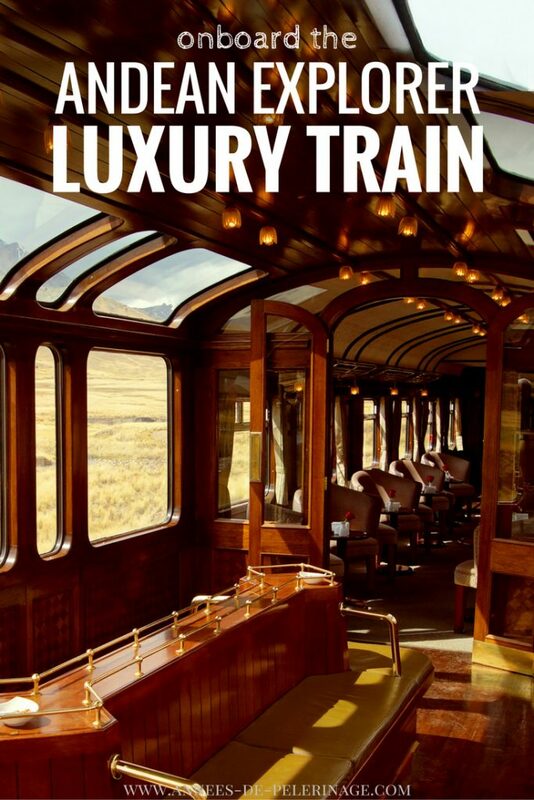 I’ve always had this fascination with luxury trains: Vibrant names like the Orient Express, the Royal Scotsman or the Glacier Express instantly come to mind. 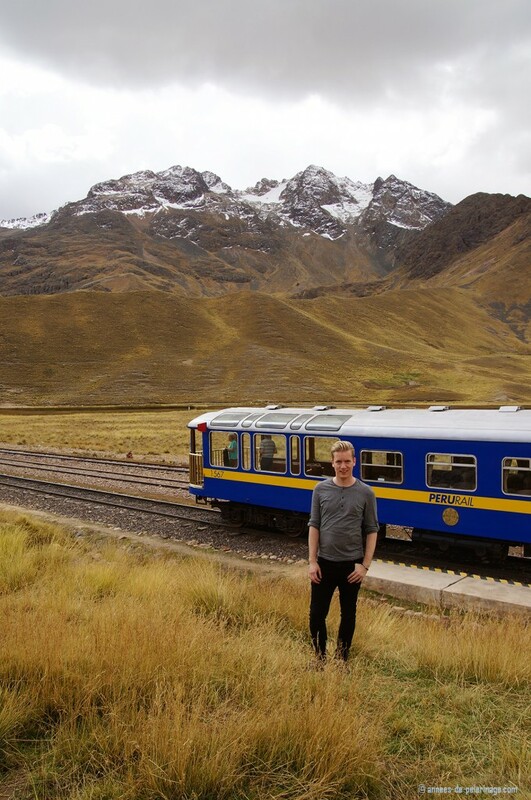 So while I was touring through Peru this May (check out my itinerary here), there really was no way around booking a ticket on the Andean Explorer luxury train that goes from Cusco to Puno. 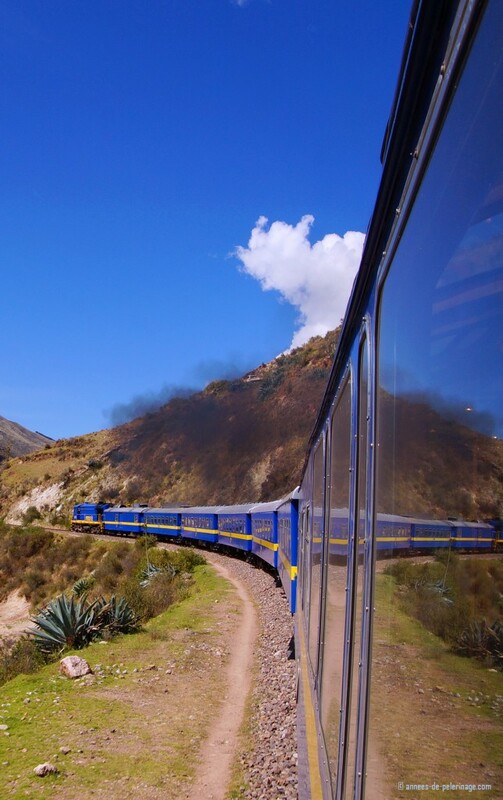 Important Note: The Andean Explorer is now called PeruRail Titicaca. Belmond operates a train conection between Puno and Cusco as well, and they now call it Andean Explorer. 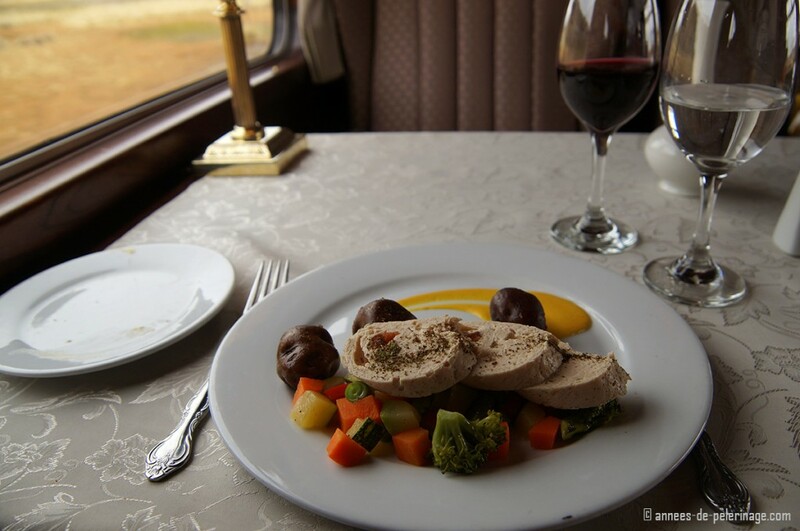 This review is for the PeruRail train!! Andean explorer doesn’t ring a bell? 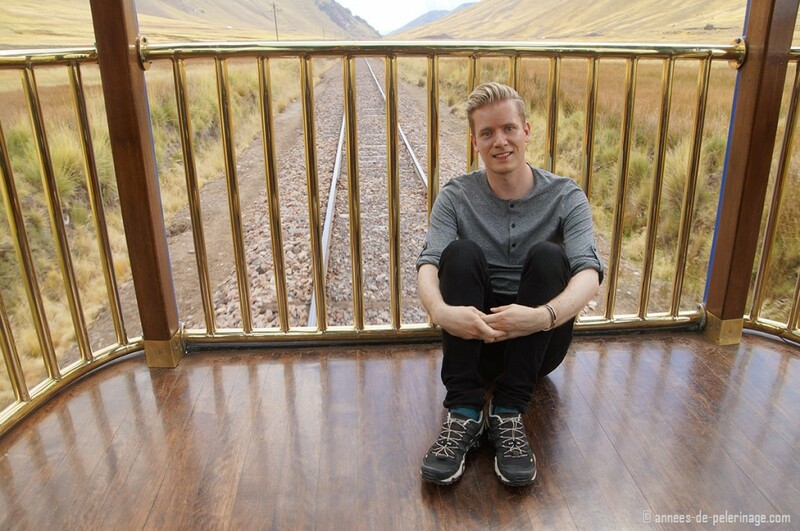 Well then let me tell you that the Society of International Railway travelers voted the Peru Rail train among the top 25 trains in the world. 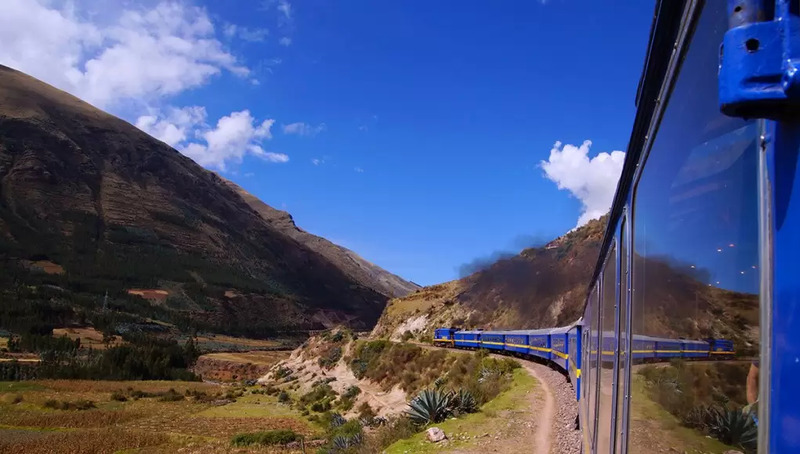 The Andean Explorer also ranks as the Leading Luxury train in South America and readers of The Guardian selected it as the second best Long Distance Tourism Destination. That’s quite the list, eh? But obviously, awards alone are nothing, if there is nothing to back it up. So I hope my pictures will convince you to check it out for yourself one day. It is the best way to travel from Cusco to Lake Titicaca in my opinion. But let’s get right into my review of the Andean Explorer. I want to be quite honest with you. I have never ever taken a true luxury train journey in my life. The Andean explorer has been my first time ever on such a lavish vehicle. 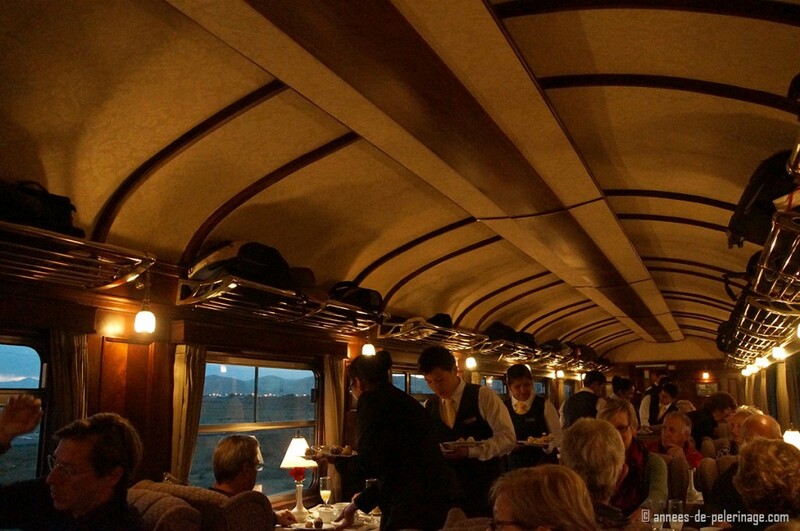 Despite my fascination with luxury train rides, reality always kept me from actually taking one (okay, I’ve been frequently riding on 1st class on regular trains, but that hardly compares.). In Peru, I finally got my chance, mainly because there really were no viable alternatives to get from Cusco to Puno, Lake Titicaca. There is a flight and of course there is a bus – but both really weren’t a big time-saver (plus the airport is not in Puno but Juliaca). And of course one of the main reasons to visit Peru was the breathtaking landscape, and obviously, you don’t get to see much of it crammed into the seat of an inland flight. So the 10 hours ride on the Andean Explorer across the Altiplano really fit in neatly into my general trip. But to be quite honest I somewhat wasn’t prepared for what expected me: The Andean Explorer featured plush armchair style seats in front of paneled walls in pleasant dark colors, and even a tablecloth with a flower arrangement. Okay, I’m exaggerating, there was “just” a single rose for decoration. Still the whole setting had me quite impressed. But there is more: Walking down to the back of the train I found a big lounge like the bar. Cocktails could be ordered while enjoying the beautiful scenery outside. Of course, I couldn’t resist sipping one of the famous Pisco Sours (though I gotta say I had better). 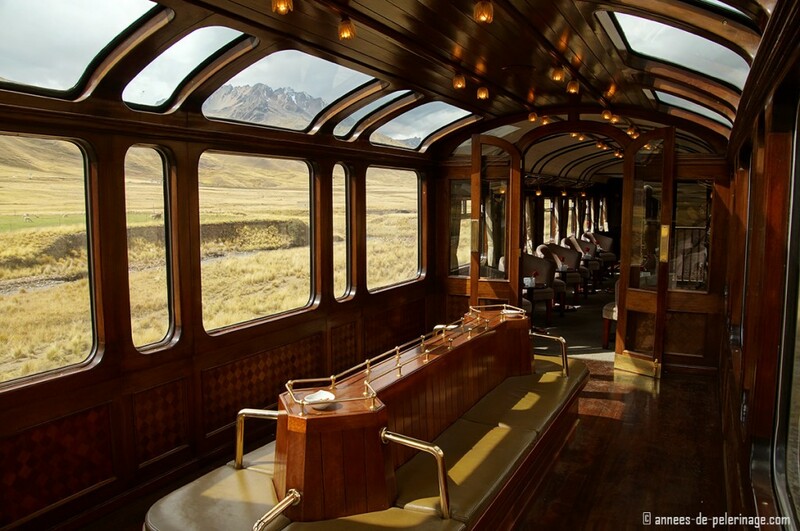 Right next to the bar, at the very end of the train, there is the famous observation deck of the Andean Explorer. I basically spent 8 out of the 10 hours on the luxury train here. Time really flew by looking out on the majestic Altiplano and enjoying the wind in my face. Actually, I probably spent more of the remaining time on the toilet than on my seat, so reluctant was I to leave the observation deck. 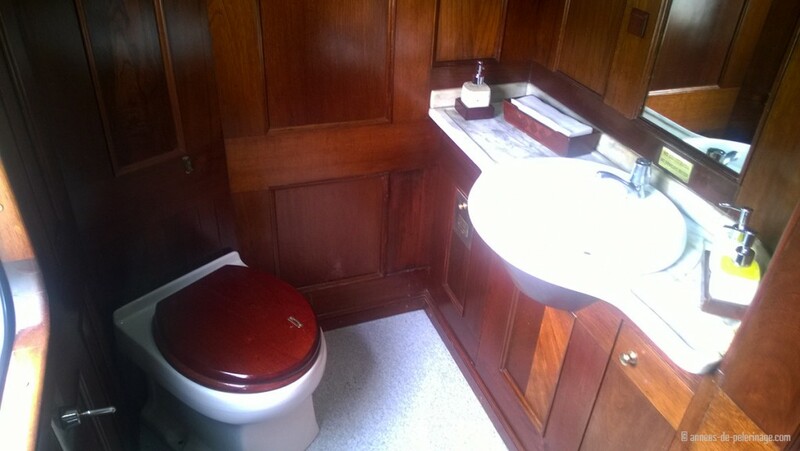 But to tell you the truth, the toilet itself was quite the show as well, featuring the same wooden panels. 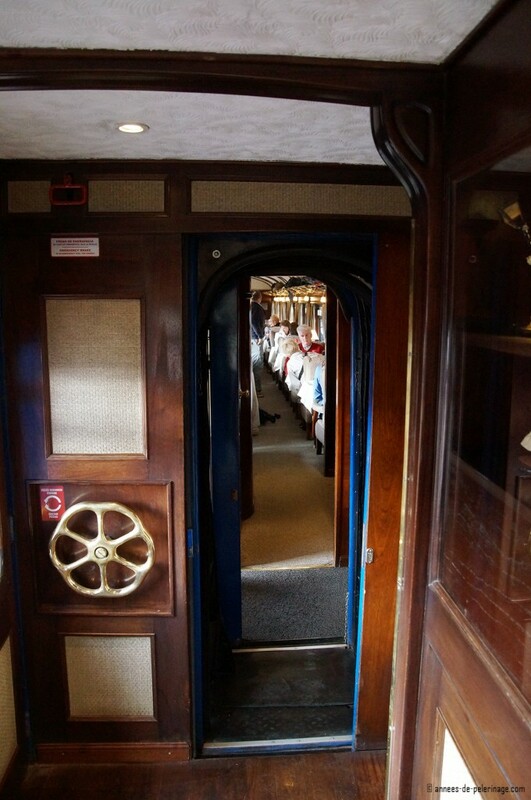 The whole train really felt in line with all the famous other luxury trains. 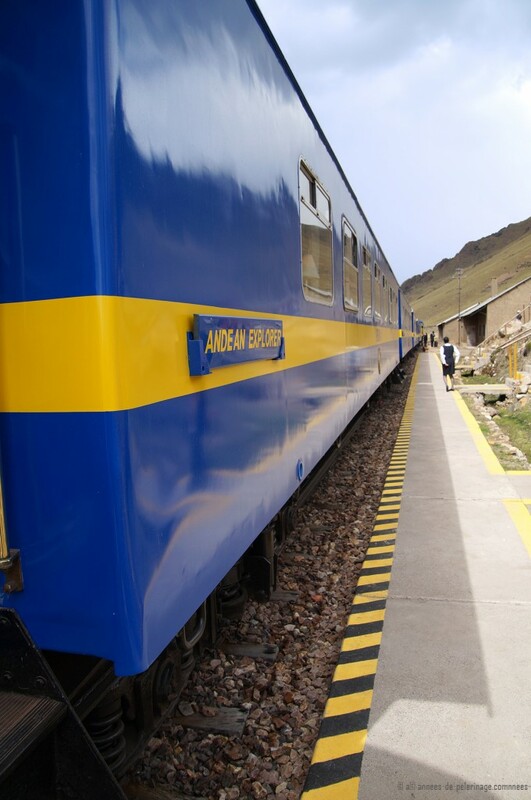 From what I know the Peru Rail trains initially got refurbished in 1965 – and the Andean Explorer really brings back some of that time (quite in a pleasant way). The Andean Explorer left in Cusco at exactly 8:00 am. 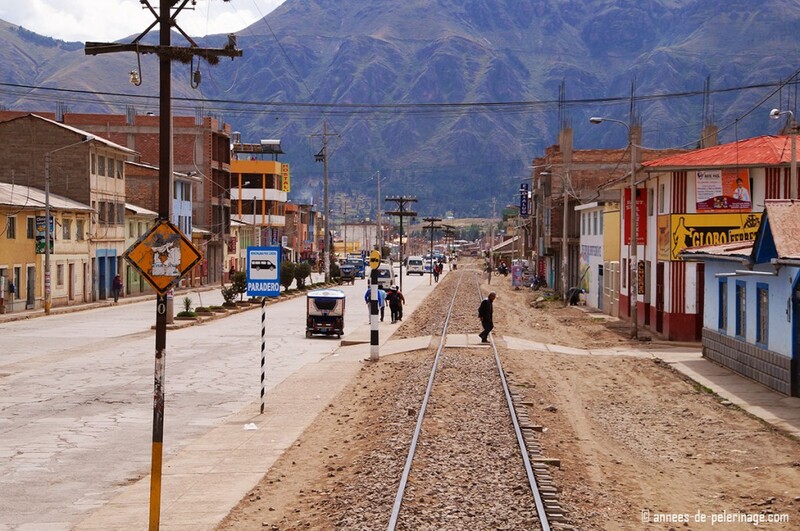 Be aware that the train station is not located in Cusco itself but in a small suburb further up the valley. 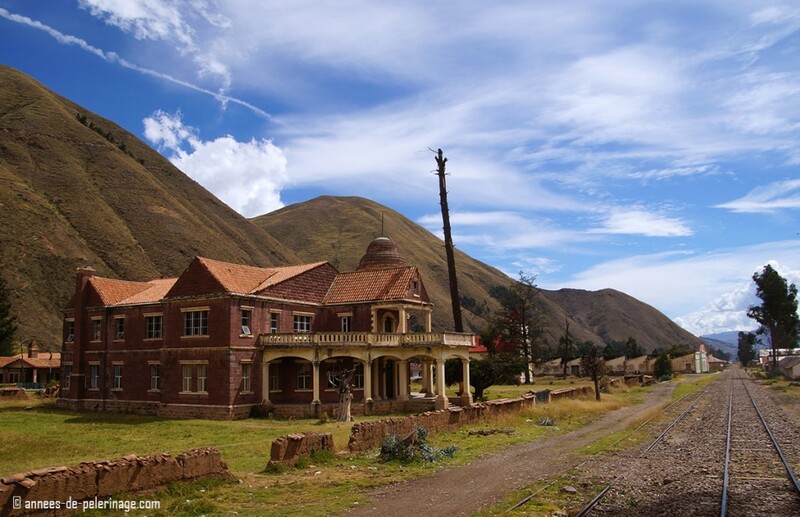 The rather nondescript station is called Wanchaq Station and little else but the Andean Explorer seems to leave from here. 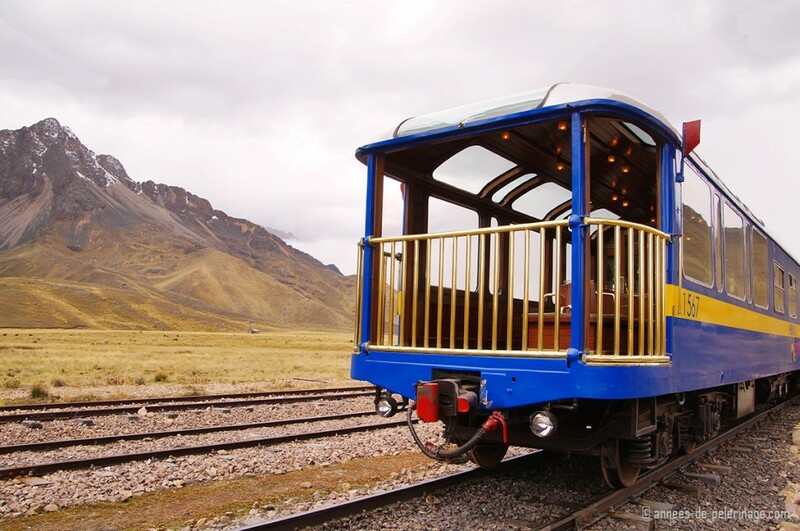 (Side note on the Andean Explorer timetable: The luxury train only departs on Monday, Wednesday, and Saturday. During the high season (April to October) an additional train leaves on Friday). The check-in was quite simple: I really did nothing else but show our Peru Rail tickets (bought them online) and porters took care of our luggage. I had my passport ready but much to my surprise they didn’t ask for them. Maybe because the driver from my hotel was along (read about my stay at the fabulous Palacio Nazarenas luxury hotel here). The (bulk) luggage got stored in a different wagon and was returnable against a receipt at the end of the journey. 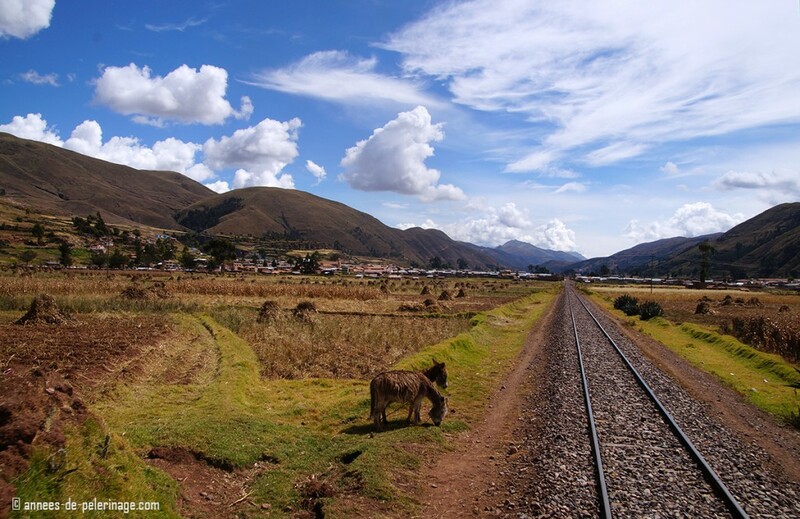 The first couple of kilometers of the journey on the Andean Explorer were through the densely populated outskirts of the former capital of the Inca. This gave me the opportunity to actually see some of the everyday life around Cusco. Alas, most of my time within the city was spent inside museums or Inca Ruins (do check out my report on Tipon and judge for yourself, if this amazing site was worth skipping the suburbs; Also find my list of things to do in Cusco here). Quite quickly, however, the urban surroundings gave way to a sparsely populated landscape with houses and little villages dotting the fertile fields. 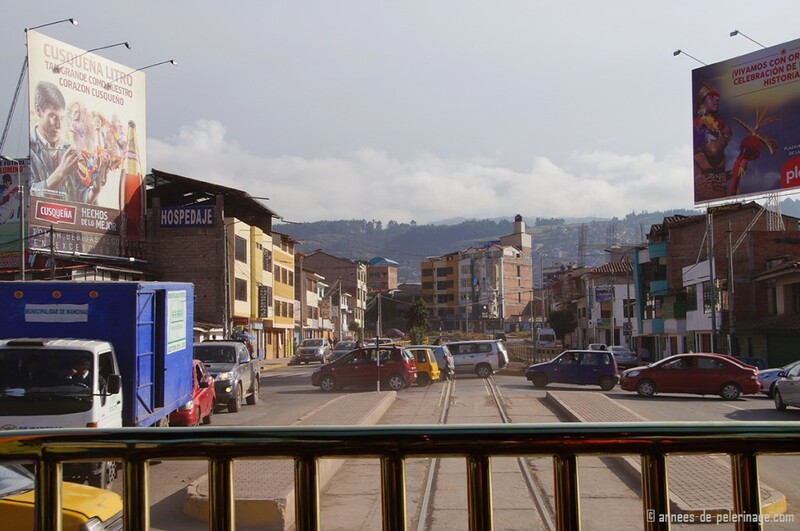 Every so often the Andean Explorer would cross through one of the many small towns – some of them quite colorful. Amazingly the tracks always led right straight through them. 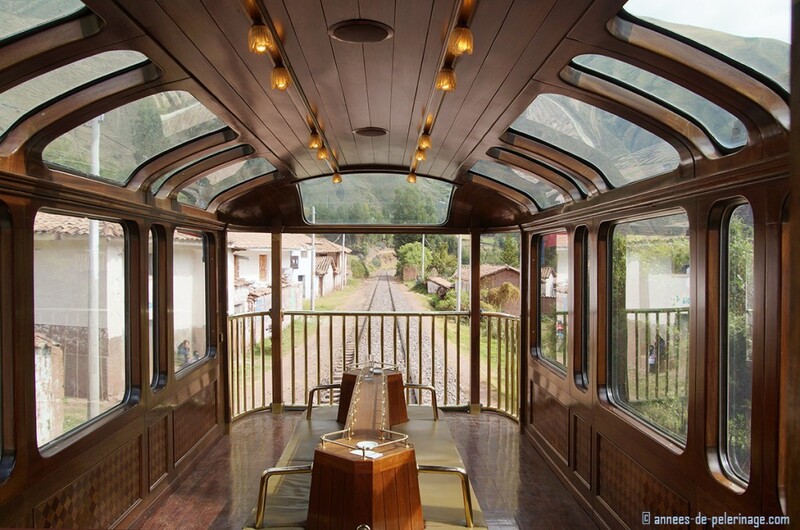 But for the rest, the luxury train sluggishly rattled through the peaceful scenery of the Peruvian mountains. Occasionally I saw people crossing the tracks – probably on their way to and from the fields. Quite unmistakably it was harvest time. Not all of the people I saw were working, though. Some even seemed to take a break from their labors to watch the passing train. Quite a few of them actually waved towards me, making me somewhat feel like royalty (which I am decidedly not). Before we started out I was quite afraid of 10 hours on the train, especially considering that the Andean Explorer has no entertainment system (more on entertainment later on). But my worries were unfounded. 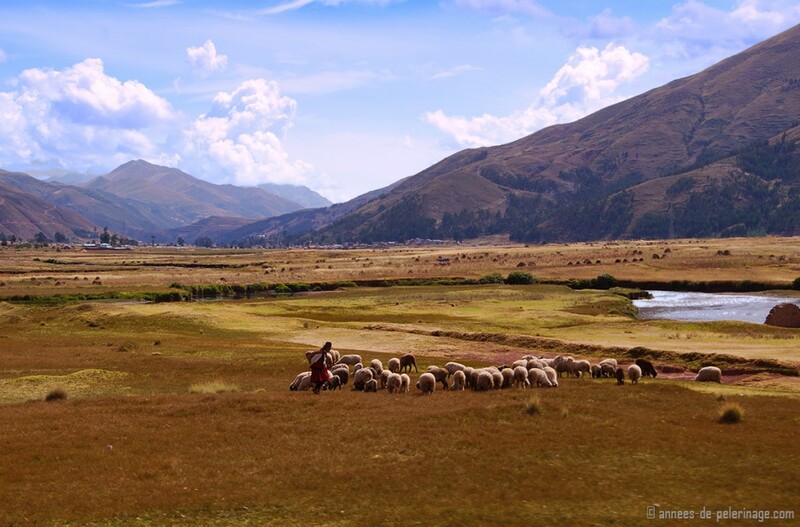 The landscape on our way to Puno was just so diverse! And when I thought I’d seen it all, suddenly we passed by a big mansion that had me reaching for my camera once again. I was also quite amazed by the fact how very straight the tracks for the Andean Explorer were. 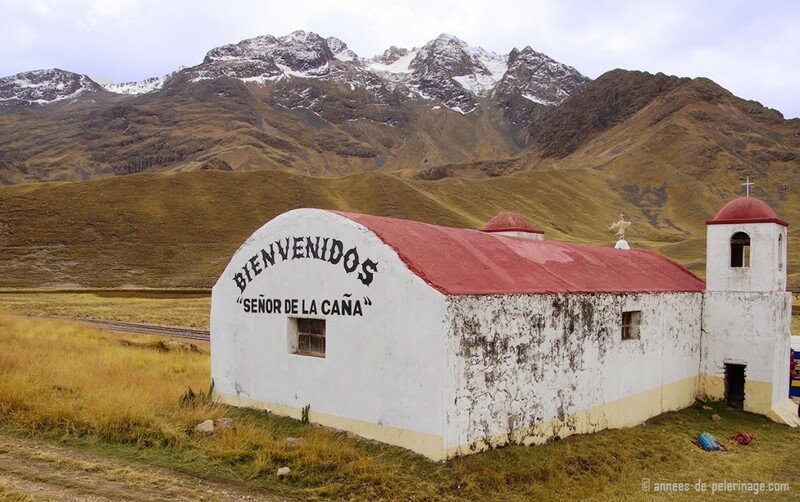 You know, the way from Cusco to Puno leads right through the Andes (much like the name suggests), and I honestly didn’t expect the ride to be quite that smooth! Okay, maybe I was too fast with that statement: Small rivers crisscrossed the landscape and there were actually some bridges ( I am quite convinced they do not deserve that name!) we had to cross. In hindsight they actually look kind of scary, don’t you think? Roughly 3 hours into the journey, the Andean Explorer started gaining in altitude. Puno and Lake Titicaca lie on the other side of the Andean mountain range. 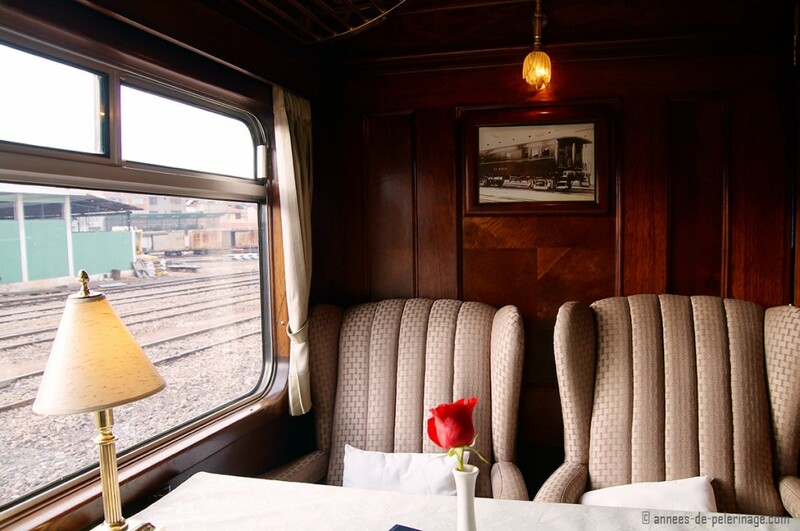 With the ascent, the luxury train further decreased it speed. I am quite positive that a biker could have overtaken us without breaking a sweat. Then again I really didn’t feel in a rush. 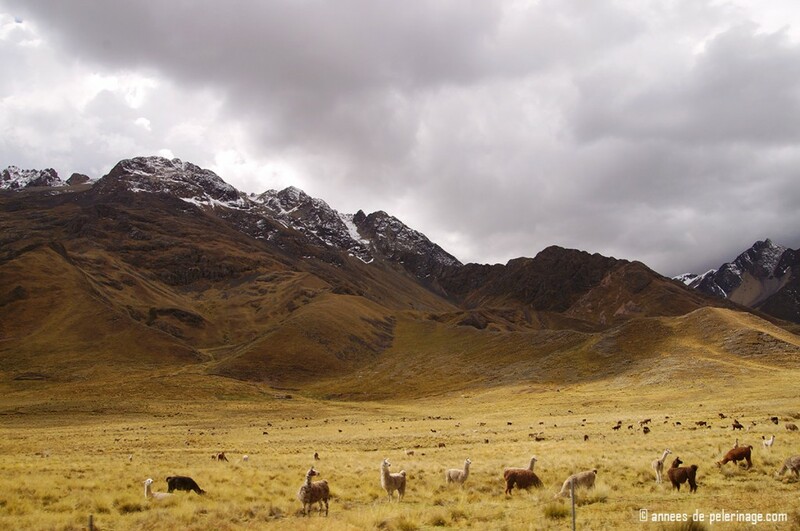 Great herds of Lamas and Alpaka could be seen grazing all around – more than just a minor visible change that came with the high altitude. Dark clouds hang over the Altiplano, with snow covering the peaks. How high was the Andean Explorer by that time, you ask? Way above 4.000 meters! Here is another picture to give you an idea of the incline. All in all, it wasn’t very steep. The Andean Explorer climbed the roughly 1.000 meters difference in altitude from Cusco to the highest point very slowly, but steadily. The highest point of my luxury train journey was reached about 5 hours after we departed (quite close to lunch). It’s called La Raya Pass and is exactly 4.313 meters high. The train will stop here for roughly 30 minutes, mainly to let another train coming from the other direction pass (just 1 track, remember). During that time you are allowed to leave the train. There really is not much to do, though. Basically, all there is to see at the La Raya Pass is the church. One of the guides informed us that there is a more or less famous festival held at it each year in honor of the SEÑOR DE LA CAÑA (The Jesus of the Sugar cane). Personally speaking, the impressive landscape surrounding the church was worth more of my attention. After idling away some 30 minutes, a couple of loud hoots told us to get back on board. I wish the weather would have been better to shoot some impressive pictures of the mountains around. From La Raya Pass the Andean Explorer went down – but actually not all that much, since Puno is located some 3.830 meters above sea level as well. There was, however, once again a visible change in the landscape. It all felt a bit flatter, which was kind of deceiving since you couldn’t tell how high it actually was. I also got the impression that life was even slower here like time didn’t matter as much as elsewhere on this planet. It really had the most soothing effect on me. But obviously, it’s quite easy to get that kind of feeling onboard the Andean Explorer. 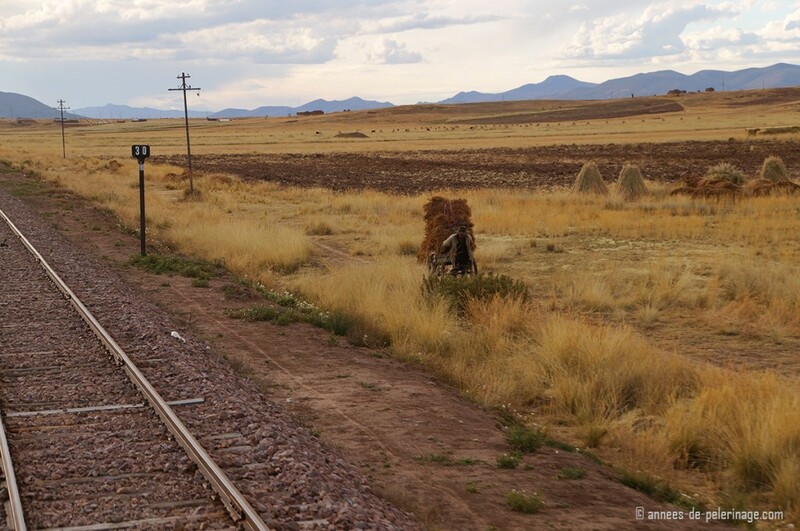 The train trundled along for a couple of more minutes until we finally got in the vicinity of Lake Titicaca. It was slowly getting darker, but also more civilized – quite overwhelmingly so. 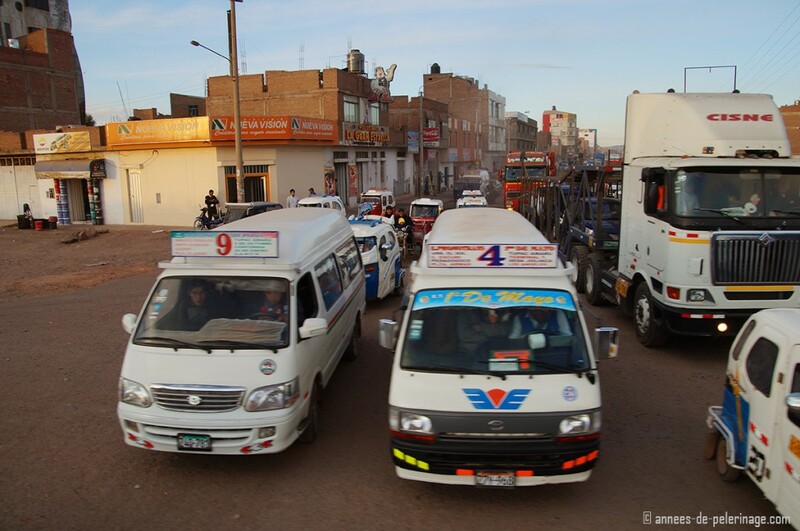 It started with the crossings, where huge queues of cars could be seen: Juliaca, the largest Peruvian city in the region around Lake Titicaca was upon us. An assistant hard warned us beforehand, but still, I really wasn’t prepared for what I got to see. 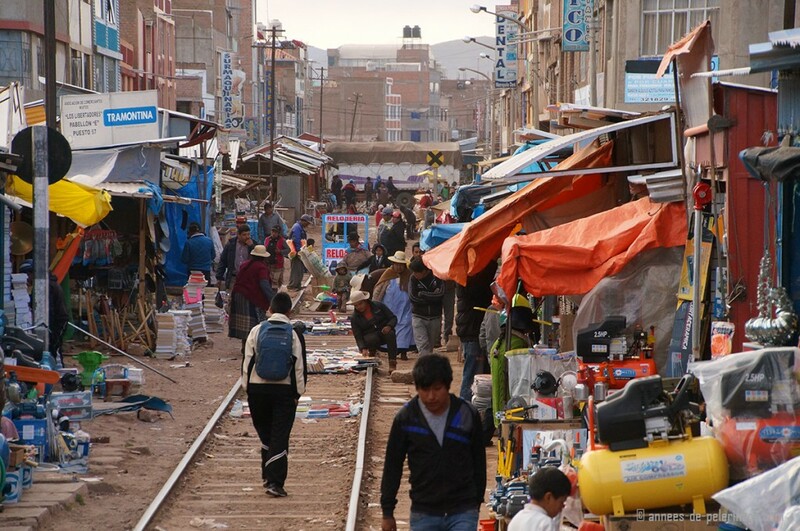 Juliaca is where the airport is located, but it is also home to the biggest market in the area. 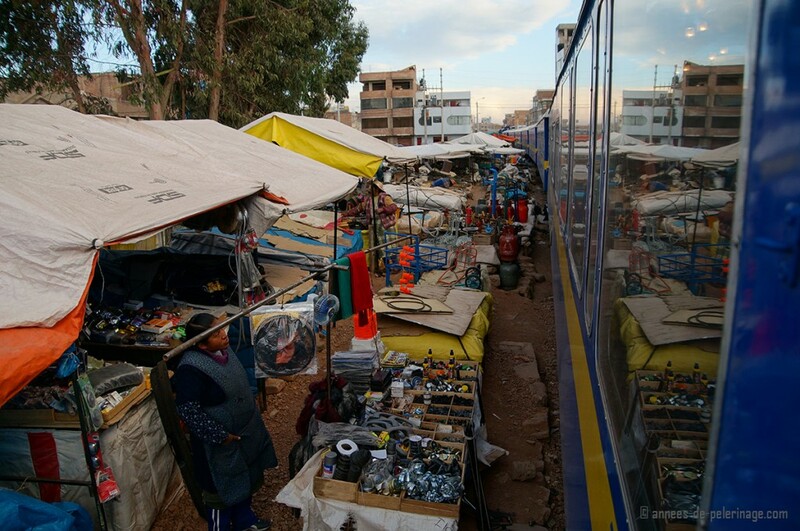 The market, however, is held right ONTOP of the train tracks. 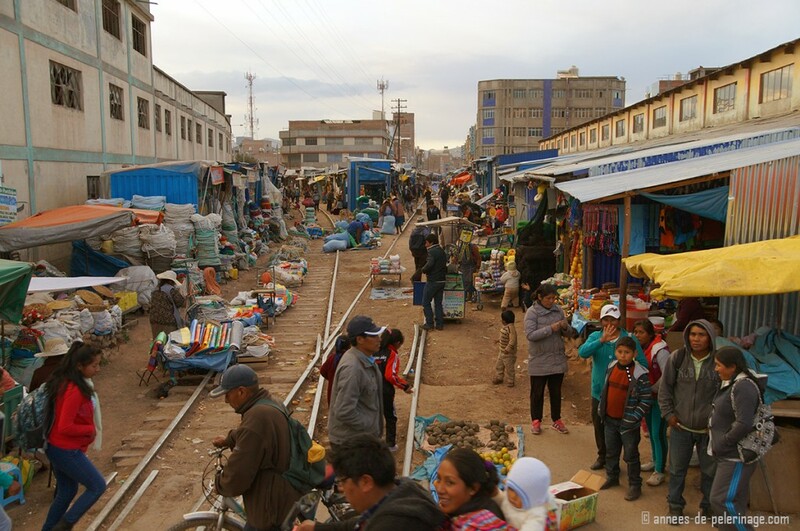 That means the 6 times the Andean Explorer passes through Juliaca each week, all booths have to be removed from the tracks. The craziest thing about it really is those pictures: They are taken from the observation deck of the Andean Explorer. Now the luxury train arguably isn’t the fastest, and it goes even slower once it hits Juliaca (more or less walking speed). Still, it takes those merchants mere seconds to bring their booths back onto the track. 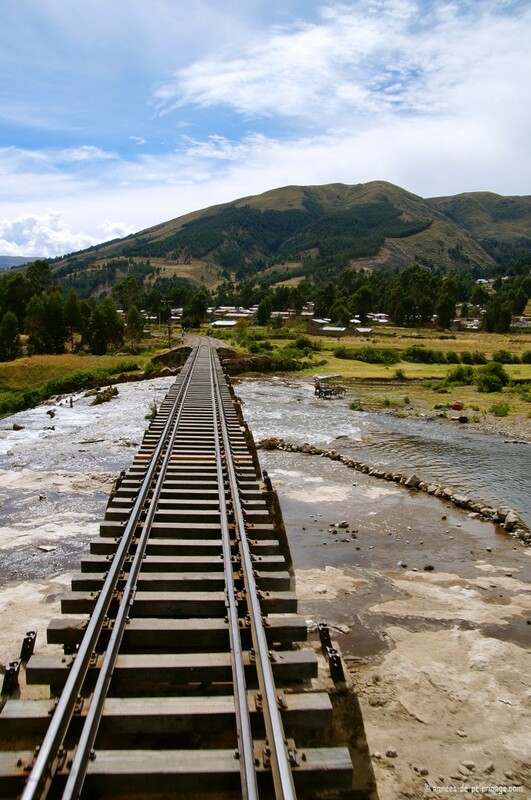 Even crazier – some of them actually left their wares on the tracks and let Peru Rail pass by. Probably by trial and error they worked out how high they can stack their wares. The train attendant even went so far as to warn me not to lean out too far (or better not at all), because some of the booths were built just so close to the train that there sometimes is little more than a finger’s width between the two (needless to say I still did but was very careful). From Juliaca, it is only a couple of more minutes to Puno (like an hour). 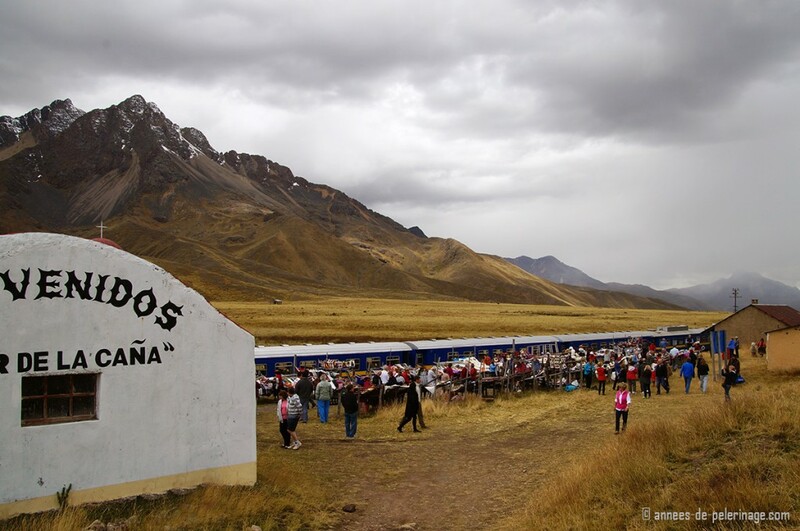 The Andean Explorer will arrive in Puno at 18:30, right on time. Since it was already dark by then, I mostly slept away these minutes – save for dinner that was served during that time. I was quite amazed by the efficiency of the waiters (tried to capture that on a picture – you tell me if I succeeded). All meals were accompanied by one complimentary drink, but alcoholic & hot beverages were extra. You could pay cash or with credit card – though they sometimes had problems with the connection. Personally speaking, I’d recommend you to bring along some bottles of your favorite soda (remember: 10 hours on the train) and be done with it. 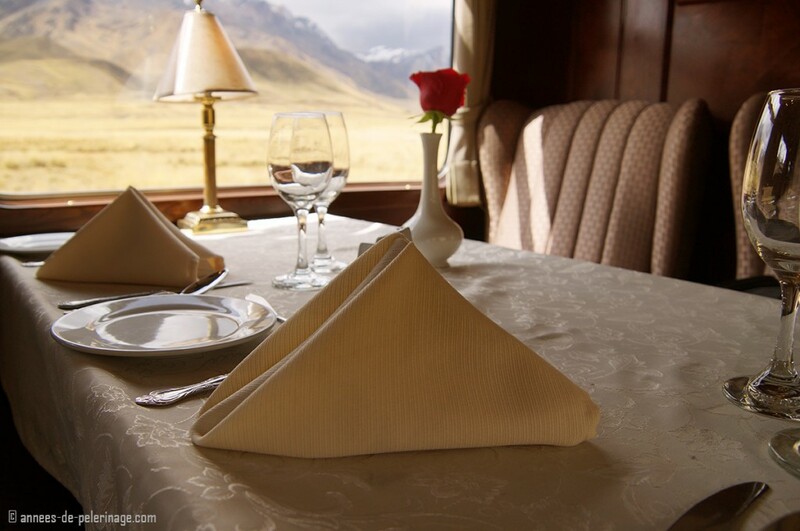 I might be a fan of luxury and actually writing a review of the Andean Explorer luxury train, but that doesn’t mean you have to throw out your money like you don’t care (I at least, have to care pretty much!). That being said, you probably should get a cocktail onboard the Andean Explorer! Or maybe even some sparkling wine? If you travel in style, you really should celebrate in style as well, eh? 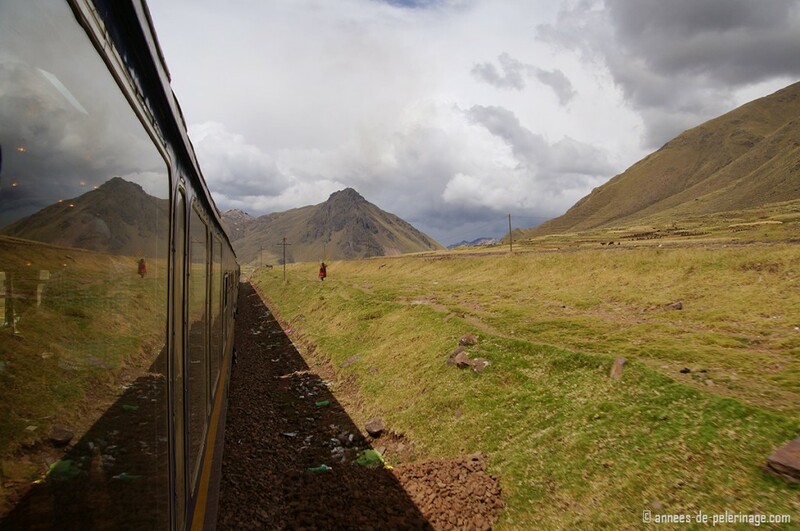 Peru Rail pretty much is aware that not everyone can stare out at the landscape for 10 hours nonstop on the trip from Puno to Cusco (now mind you, I really had no problem with it). That’s why they do provide quite some onboard entertainment. 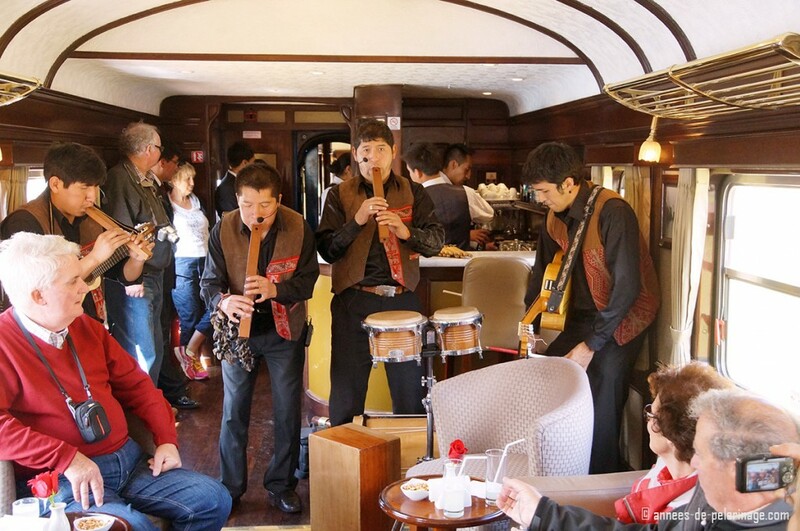 For example, there is a band in the bar wagon playing traditional songs from the area. But there will also be a couple of dance performances with women in colorful dresses that are actually quite lovely to look at. 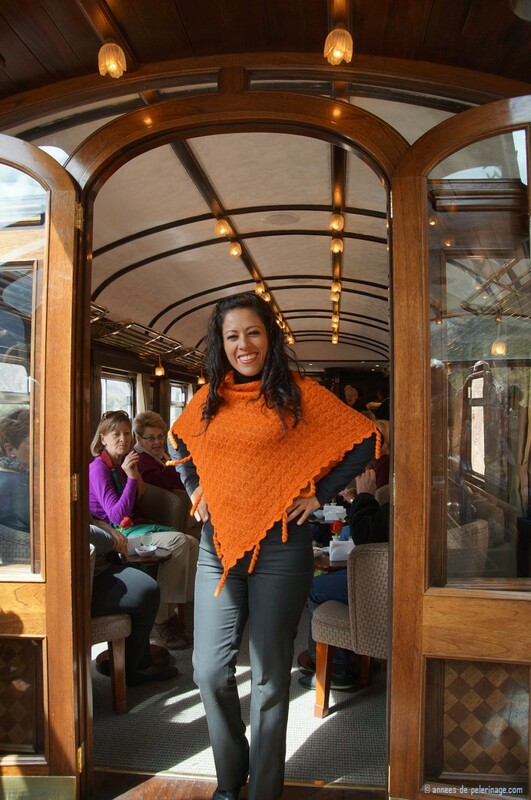 Oh, and there is also some sort of fashion show that seems to be the curse of all Peru Rail trains for tourists. I’ll set my personal opinions aside (is that even a thing in a review?) and let you judge for yourself. They are selling the presented knitwear (mostly scarfs and sweaters) onboard, along with some DVDs, CDs, and books. 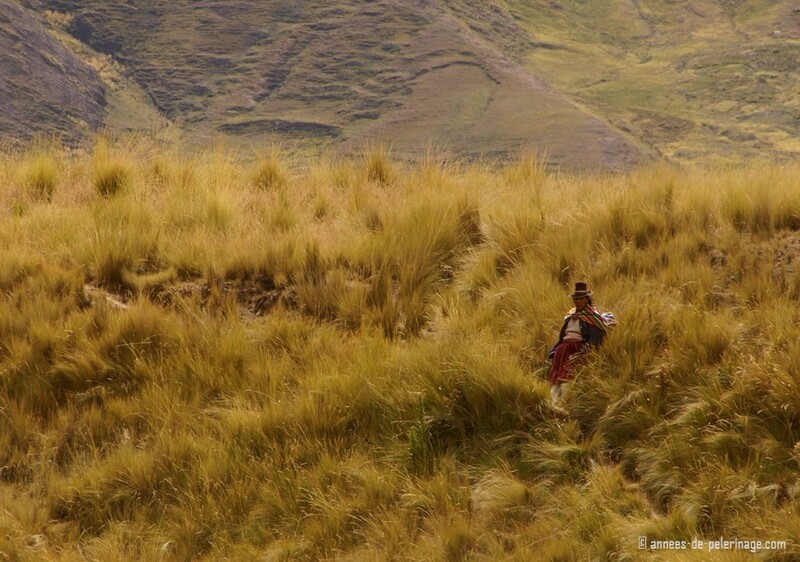 Now I already mentioned that the Andean Explorer is crossing the Altiplano. That means that most of the journey will be above 4.000 meters. 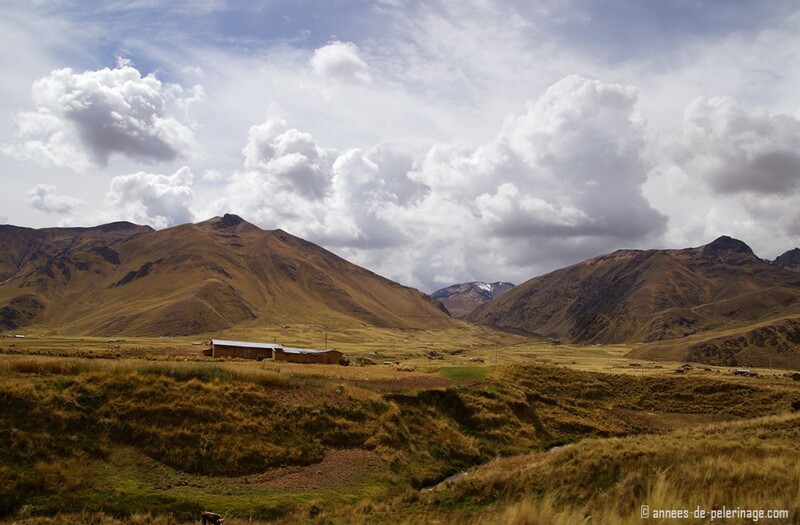 Altitude sickness onboard the Andean Explorer might thus be a concern for you. Generally speaking, it will be no issue. You will basically just sit or stand around for 10 hours, finding the toilet your only exercise. 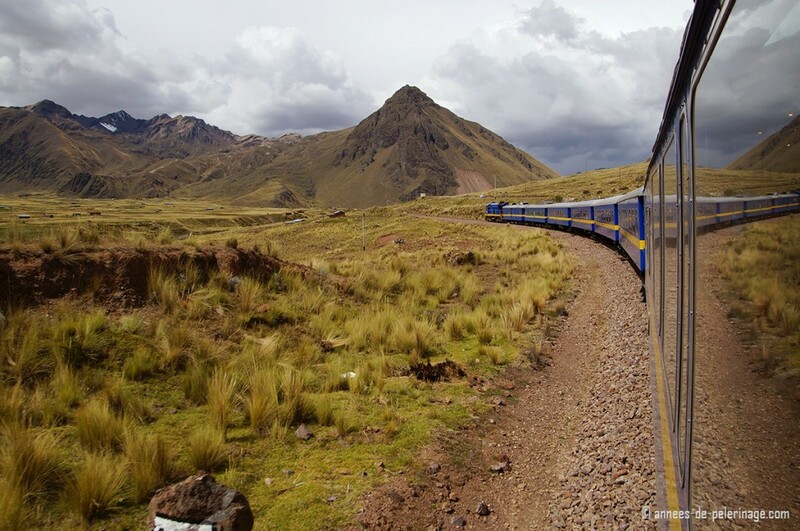 The Peru Rail team will bring along oxygen masks for emergencies. Do keep in mind, however, that the area around Puno is not much lower and presumably you want to spend some time around Lake Titicaca. So, all in all, it might be advisable to get accustomed to the extreme height before (Machu Picchu, for example, is only 2.400 meters high and might be a good start), even though you will probably have no issues on the Andean Explorer itself. 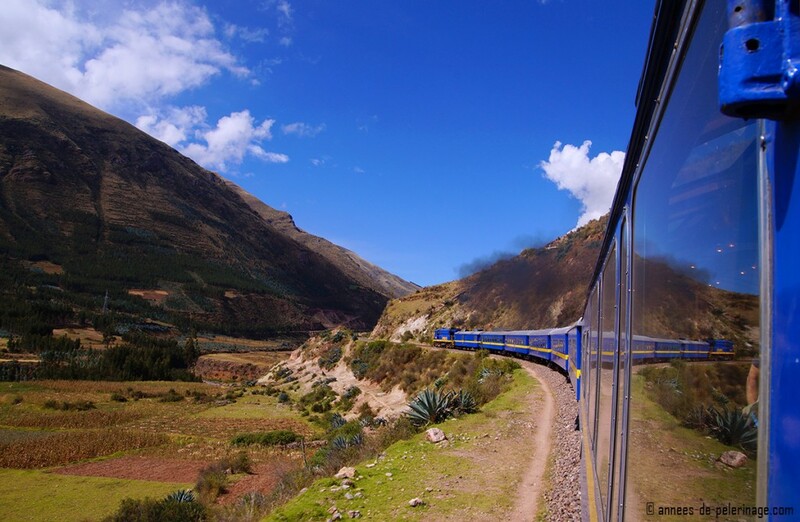 Tickets for the Andean Explorer can be bought directly on the official Peru Rail website. 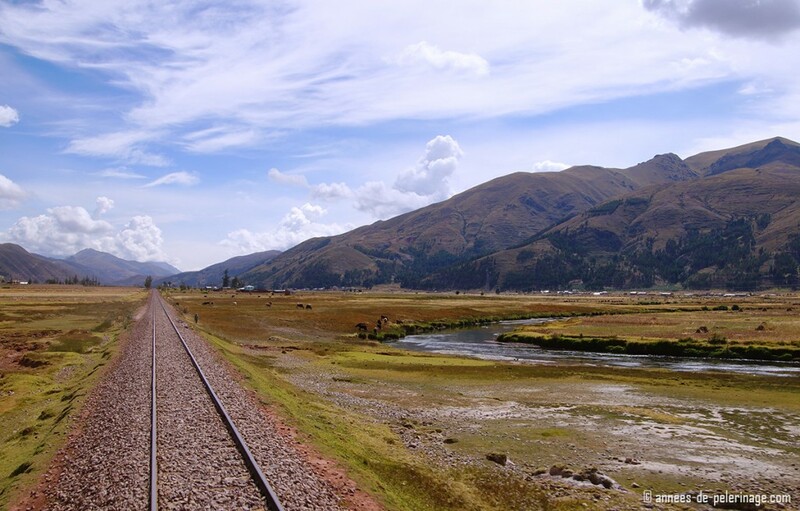 Like I already pointed out, the luxury train only departs on very a limited timetable: Trains leave from either Cusco or Puno once a day on Monday, Wednesday, and Saturdays (+ Fridays between April to Oktober). A one-way ticket will be roughly 1.000 soles or 315 USD, tax included. Food and luggage will be included as well, with no real limit on the luggage. The same goes for the onboard entertainment, while hot drinks and alcoholic beverages will have an extra cost. I have to say I was quite impressed by my experience on the Andean Explorer. 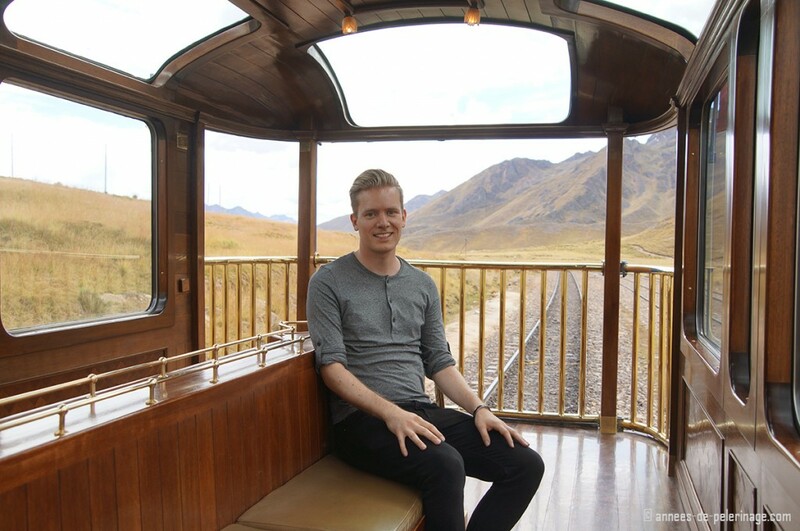 I did, in all honesty, not expect the train to be quite that luxurious (considering general South American standards) and most of all I did not expect the train journey to be quite so breathtakingly beautiful. I can definitely recommend doing it, even though I might not go again, mainly to save the time to explore other highlights around the area. Oh and one last item. 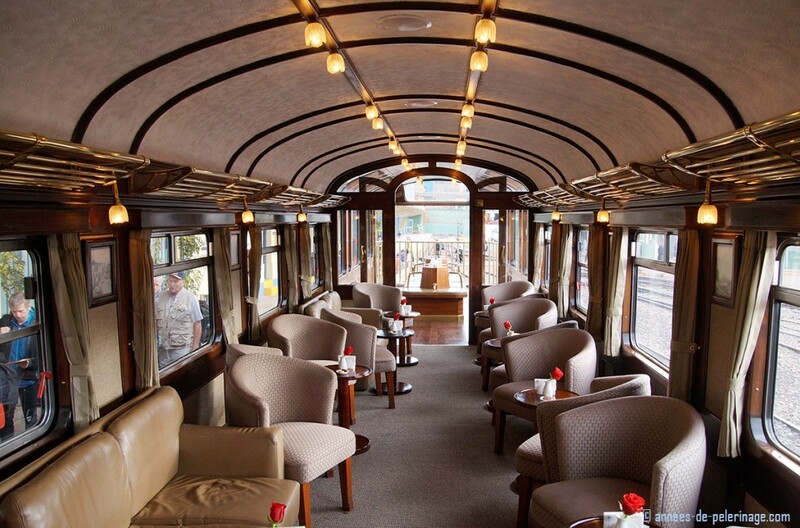 Since you are already read a review about a luxury train, here is my review of the best luxury hotel at Lake Titicaca. Disclaimer: I had no association with Peru Rail whatsoever at the time of writing this review. All opinions are my own, as was the money that paid for my trip in May 2015. Those are some impressive pictures! Looks awesome. At first, I thought I shouldn’t take the train, as the bus takes roughly the same route, stops at 5-7 places of interest along the way and costs a fraction, but after reading your story and seeing the picture, I might have to reconsider again. What is your impressive of the other people on board? Too rich tour groups? Or also simple backpackers? you should certainly do that! As you can (quite plainly) see, the landscape is just fantastic. June was when I did it as well, so you will have the good weather on your side (dry time). Lake Titicaca will be somewhat coldish then. So as a Hawaiian used to the warmth I recommend you to bring that extra jacket (will be freezing during the night). Thanks for the review. I am going in November and this was very useful. 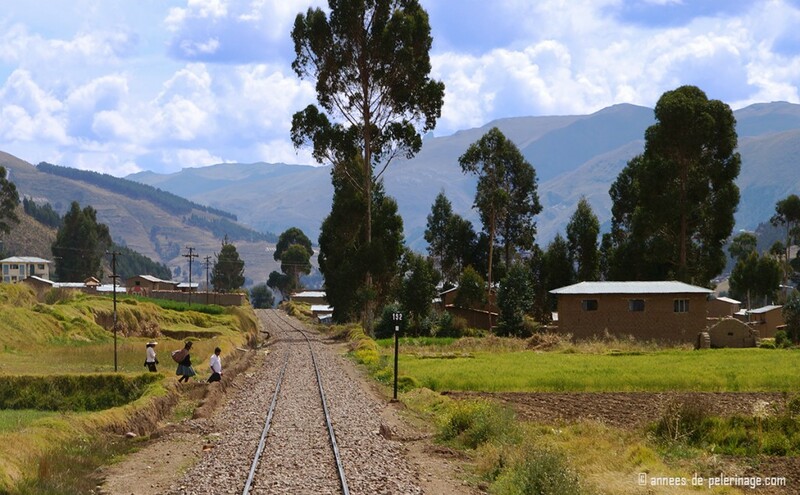 Do you sleep on the train or do you have to spend the night in lake titicaca? How much time did you spend there? Did you catch the train back the next day? We’re going up May of 2017. 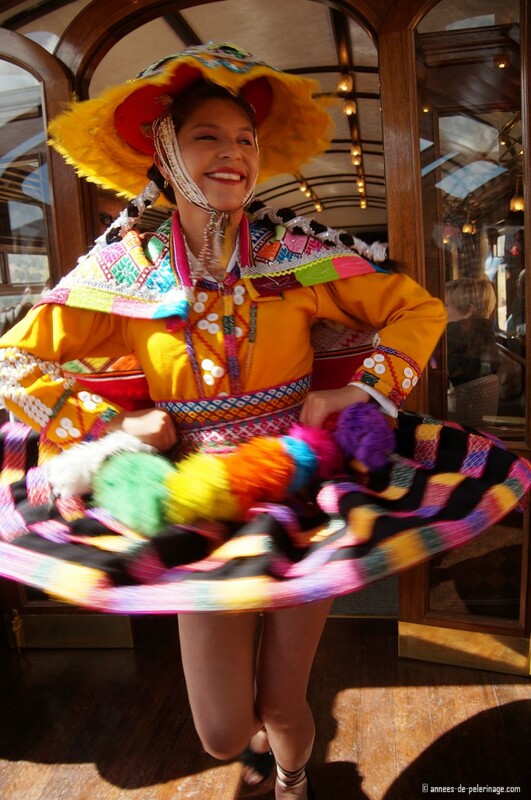 Very lovely review and all the more reason for me to travel to Puno by the Andean Explorer. Perurail.com – does not show tickets as available now (for travel time of July 2017). How did you book? When do those block of seats for the summer season open up for online booking? thank you for the kind words! From experience, the tickets go online 6 months before, but to be quite honest with you, I don’t know if that is still the case. Thanks for a well written and accurate review. I took my wife on this trip in June 2016 as part of her 50th birthday holiday and would agree with everything you have said. We were equally as surprised and impressed by the journey and I can concur that the ten hour duration was almost too short. I can’t imagine why any visitor to Peru would choose to fly between Cusco and Puno to save a few hours and miss out on a stunning lifetime experience. what a fantastic journey for a 50th birthday! I am glad you liked it just as much as I did! Thank you for the very informative and engaging article! Which side of the train would you say has better views? We are planning to do the same route as you. both sides are stunning, really. I really couldn’t take a pick. But why not take a different side on the way in and out? If i’d have to take a pick, then the left side, as this is where various other ruins will appear.